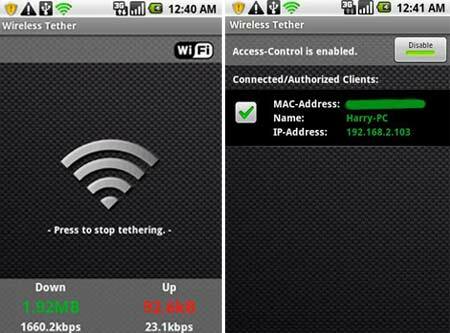 The best Android tethering apps splashed out here aid in turning your device into a hotspot. This means no matter where you are you can be sure that your laptop, computer or any other portable gadget will be blessed with the power of the internet. These options mentioned just below are also great money-saving solutions. You won’t have to pay a cent extra for surfing the World Wide Web on another system. So if you want to find out more about what we’re talking about, read on. The first mention in our list has the ability to share the handset’s internet connection with your PC. What’s more, you don’t have to go and tweak your smartphone in any way just so that you can accommodate this app. According to the brains behind this endeavor, the application ‘adds zero latency to your connection.’ So you can expect quick speeds while browsing pages over the web. Additionally, this program extends support to both USB and Bluetooth, and works with PC as well as Mac systems. Also thrown into the amalgamation is a feature known as ‘SMS Agent’ which enables you to receive and send messages from your computer itself. 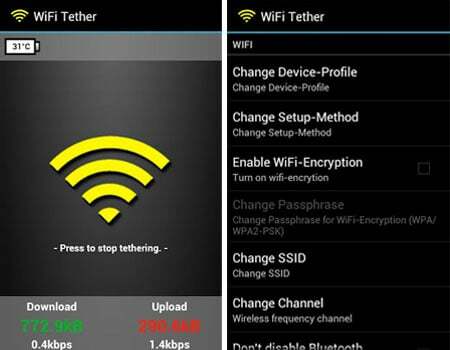 This entrant in our Android tethering apps roundup allows you to share your service provider’s 3G or 4G internet connection with a whole slew of devices and systems. We’re talking about Windows, Ubuntu and Mac OS X. Gamers can also take complete advantage of this application as it works with different game consoles such as Wii, PS3 and Xbox 360. This means you can spend hours on end enjoying online gaming through this software. It’s also noted to be an open source product that comes with a $0 price tag. By shelling out just under $10, you’ll be able to get your hands on the complete version of this particular gem. Developed by Mobile Stream, this program works through USB and is completely compatible with PC systems like Mac OS X, Fedora 13+ and Windows 7, XP and Vista. The application that doesn’t require root access also gels well with game consoles such as Wii, Xbox 360 and PS3 via your PC. And if you don’t really want to spend your bucks, then there’s also a Lite version of the same. However, it blocks instant messenger, game console tethering and https attributes. As the name suggests, this next inclusion in our tethering apps for Android lineup is exclusively fashioned for root users. You can seamlessly connect your laptop or PC to your portable device through Wi-Fi and acquire 2G, 3G and 4G speeds. Some of its other attributes include an access-control feature for denying and allowing clients and the ability to disable tethering post configurable idle time. What’s more, you can toggle between enabling and disabling the internet connection with just one click via the phone’s homescreen. If you haven’t rooted your phone but still want to share its internet with other devices without paying a hefty fee, well we have just the app for you. 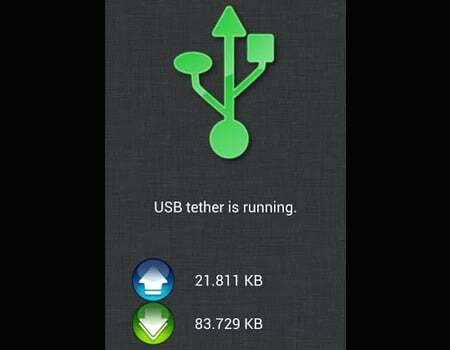 Claimed to be a USB tether solution for Linux, Windows and Mac, this software piece plucked right out from Google Play lets you enjoy surfing the web via your laptop or PC without asking for a tethering plan. And if you wish to download the Premium version, then all you have to do is pay a fee of just under $5 and avail of the in-app purchase. Here’s another application that’s created to suit the needs of all you tech enthusiasts who’ve rooted their phones. 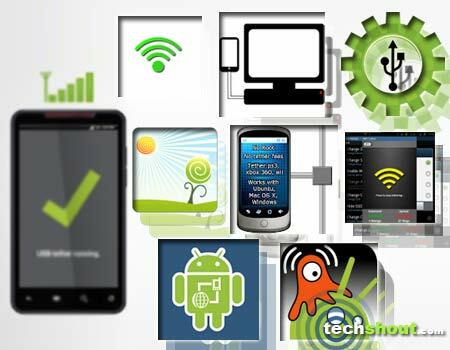 This contender in our Android tethering apps array can transform your handy handset into a wireless ad-hoc hub so that all your other gadgets like Windows, Mac and Linux can enjoy internet access. This open-source program also lets you use the internet via the Apple iPad and iPod as well as the Xbox 360. If you don’t mind parting ways with a few bucks then you might want to consider acquiring this particular app. As the name reveals, you don’t have to root your device to accommodate this piece of software. You can share your Android’s internet with a Windows, Mac or Ubuntu/Linux computer via USB. And if you want to give it a try before actually pulling out your purse, there’s also a free demo version of the same available in the Google Play marketplace. 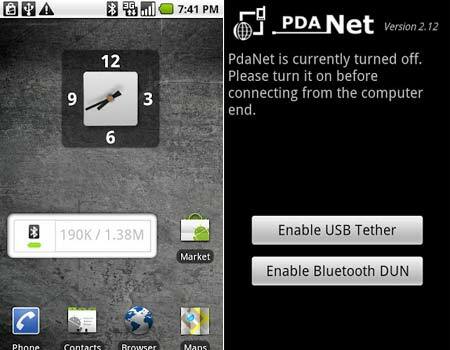 With this program sitting in your rooted smartphone, you can easily connect with other devices through Bluetooth or Wi-Fi. You can seamlessly tweak the various Wi-Fi channel and LAN network settings according to your preference. There’s even an access-control feature which lets you decide whether to allow or deny the use of the mobile-data connection. Want to surf the internet on your laptop or home PC without incurring extra data charges from your service provider? 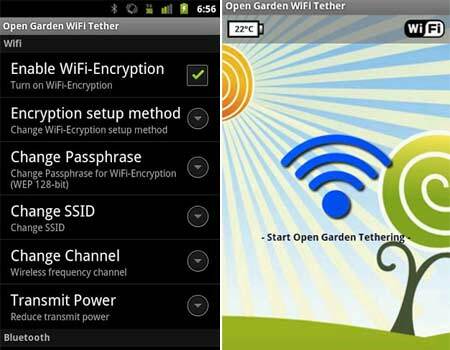 Simply pull out your Android-infused handset and activate any one of the aforementioned best Android tethering apps. You can now enjoy online goodness without even having to shell out an extra penny. What’s interesting is that many of the applications mentioned here can be employed through a handset that’s not been rooted. So which is your must-have software solution from among the lot?